Personalization is in hot pink thermographic ink in typestyles shown. Notes are personalized with a name (up to 26 characters/spaces) or three-initial monogram. Envelopes are personalized with two-line return address (up to 26 characters/spaces per line). 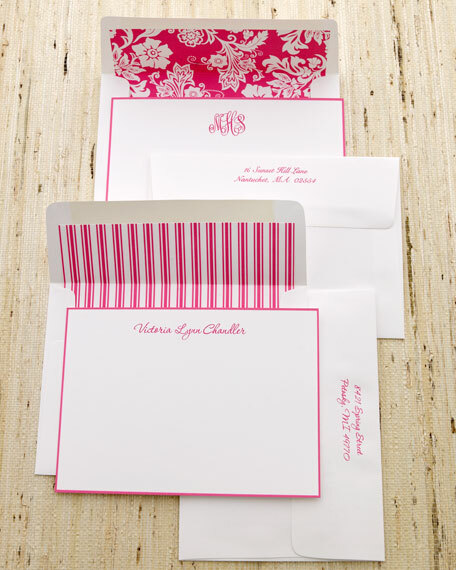 Optional hot-pink-striped or hot-pink-floral lining for envelopes also available. Available in hot-pink stripes or hot-pink floral.